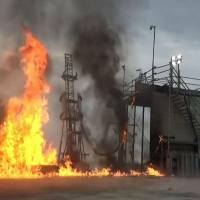 KUSHIRO, HOKKAIDO - The launch of what would have been Japan’s first privately developed rocket to reach outer space failed Saturday after it burst into flames just seconds after liftoff from Hokkaido, its developer said. Officials of Interstellar Technologies Inc., founded in Hokkaido by former Livedoor Co. President Takafumi Horie, said the rocket, Momo-2, exploded at around 5:30 a.m., just after it was launched in Taiki. 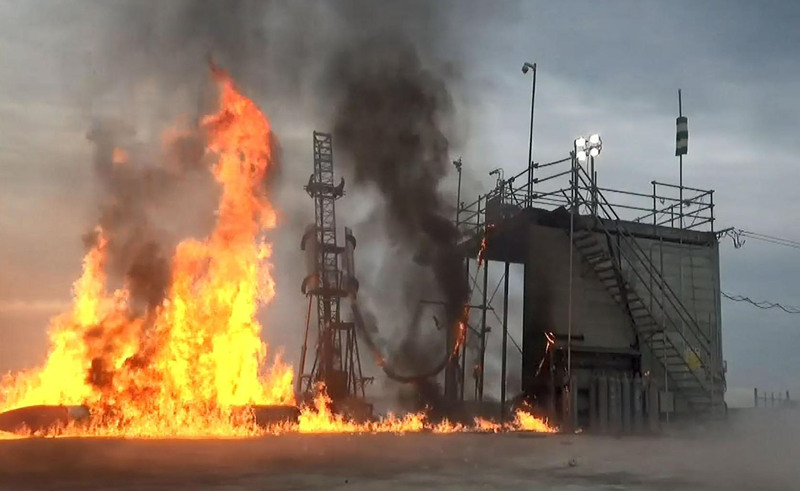 The unmanned 1-ton rocket, which was 10 meters long and 50 cm in diameter, marked the second failure in a row for Interstellar Technologies. Last July, it tried to get its Momo-1 rocket to an altitude of over 100 km but had to abort after losing contact some 70 seconds into the flight. It originally planned to launch Momo-2 in late April but pushed back the date due to a nitrogen leak. The failure suggests a difficult road ahead for private rockets. The project members were shocked and dismayed. “I could not immediately understand what happened,” Interstellar Technologies President Takahiro Inagawa said at a news conference. Horie, who called it “an unprecedented failure,” said he was willing to take another shot. “We have to find ways to improve,” he added. Inagawa said Momo-2 lost thrust four seconds after liftoff and that the main engine probably encountered a problem. “Since the first rocket flew to some extent, the latest failure right after liftoff was unexpected,” an official of the venture said. The launch costs tens of millions of yen. The company raised about ¥28.4 million ($257,000) through crowdfunding. Momo-2 was scheduled to fall into the sea after reaching outer space. Equipment developed by Kochi University of Technology to gauge how sound waves propagate at high altitude was installed in its nose. About 600 people gathered to observe the launch.